Adjustable distance between spindles: 14 - 200 mm. Great drilling capacity for wood ø10 - ø 50 mm. 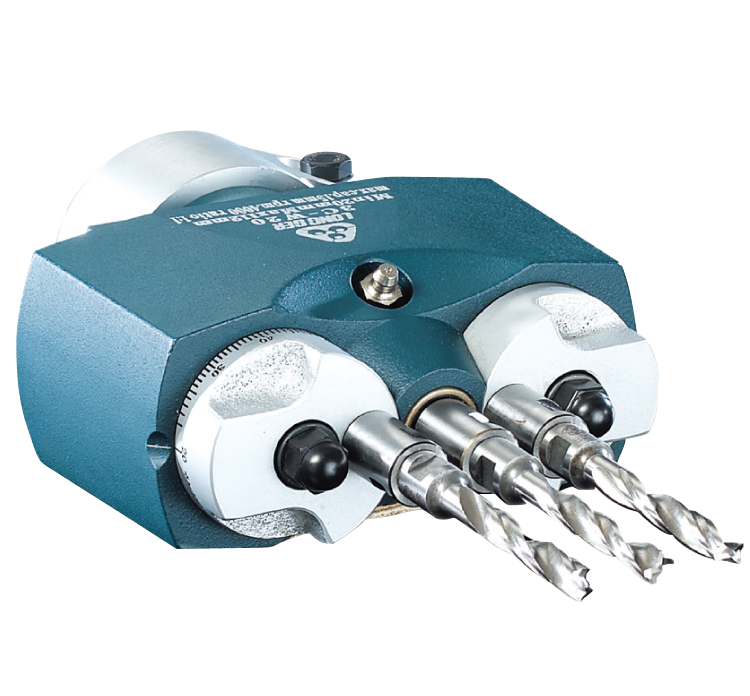 The boring head accommodates high running speed up to 6000 RPM. Exclusively designed with arc theorem. Graduation adjustment for boring fixed distance holes on line. Ideal for application for general furniture, assembly toys etc. Suited for fitting on general boring machines.